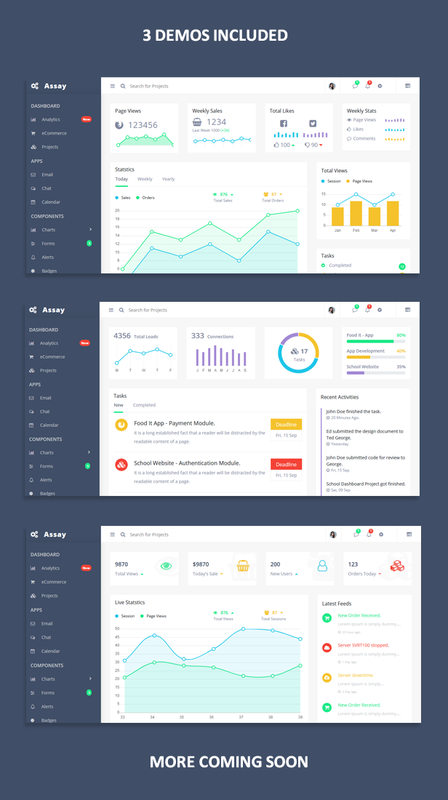 Assay is a multipurpose Admin template. Assay has lots of features and it contains tons of UI elements & widget. 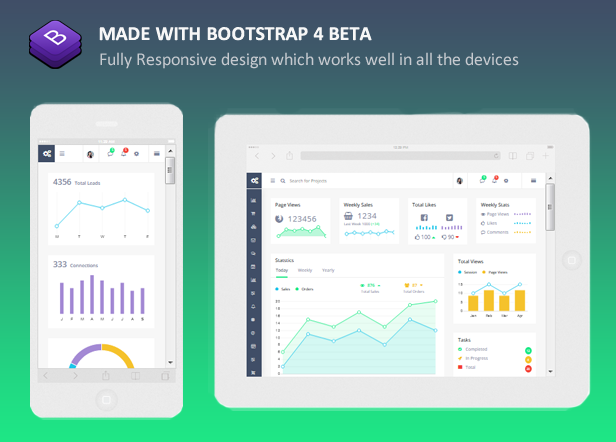 Assay is created using latest version of bootstrap and it’s 100% responsive. It works very well in all the devices like Laptop, Desktop, Tablet and Smartphones. All the logo used in the template are the trademark of their respective owners. Please consider checking before using them. IMPORTANT: All the photos that appear in the preview files are for display use only and are not included in the download files.